A Lego birthday party theme is a perfect theme for young Lego lovers, but what exactly can you do at a Lego party? Play and build with Lego’s? Of course, but if you’re looking for something to take your Lego party from ho-hum to funtastic check out these Lego party games! Most of all the games are D.I.Y games, but I also threw in a few for those parents looking for some convenient pick and click to purchase Lego games. 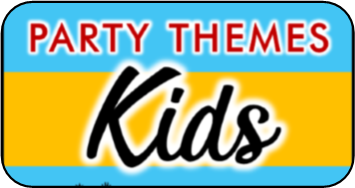 Take a look through the list and pick out the ones that are most suitable for your child’s party. Write simple sculpture ideas on index cards. Have everyone draw a card and give them 10-15 minutes to create their sculpture. Have a good supply of different lego’s available. After time is up, have everyone try to guess what everyone else’s sculpture is. 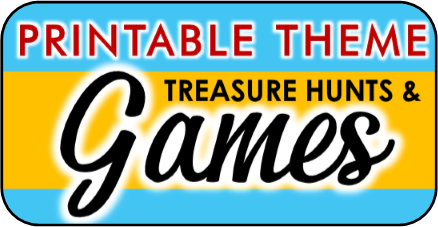 You can award prizes for whoever guesses the most correctly, or just play for fun. In this game you’ll call out a simple object that can be created from lego’s. Everyone will have three minutes to make one as fast as they can. At the end of the three minutes have a judge decide who sculpture most resembles the object. Play a couple of rounds so there are more chances for winners. This is a fun icebreaker Lego game. Simply fill a clear jar with Lego’s (make sure you count them) and have the children guess how many Lego’s they think is in the jar. Award a prize at the end of the party for the child that gets the closest. The prize could even be the jar of Lego’s itself. Divide the kids into two teams and give them 20 minutes to build the biggest and tallest tower they can. Afterward line the kids up and let them take turn throwing bean bags at the other team’s tower. Let each child throw the bean bag twice. At the end whichever tower is most intact is declared the winner. This is a great Lego activity that the children can do when they first arrive at the party to keep them busy while awaiting the rest of the guests. Purchase some thin crafting board, or cut a 1x4 piece of plywood into 10 inch sections. Before the party write all the guests names on the boards in large block letters. When they arrive at the party give them their board and let them glue Lego’s over the lines in their name to create a personalized name Lego plague they can take home and hang on their walls. This makes a perfect party keepsake and a wonderful party favor. Have each child build their own Lego race car. After race on a D.I.Y ramp to see whose is the fastest. You can make your own ramp out of plywood or even large cardboard boxes! The great thing about that is it can be kept by your Lego lover to play with again and again long after the parties over. In this game the children sit in a circle and pass a Lego around while the music is playing. Before each child can pass it though they must add another Lego to the sculpture, they then must pass it to the next player being careful not to break off any pieces. If any pieces do break off that player must attach them back on before passing. When the music stops whoever is holding the ever growing lego sculpture is out. Keep playing until only one player remains. This is a fun twist on the classic hot potato game. Lego Drop ( Just like pin drop, take turns trying to drop of toss Lego’s into a jar.